It’s this summer’s ice bucket challenge, and it’s leaving participants a lot less chilly! 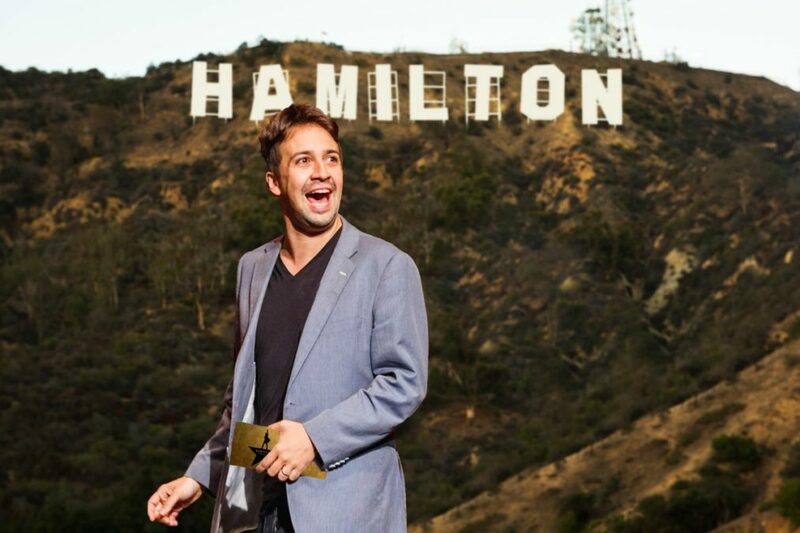 Hamilton mastermind Lin-Manuel Miranda is encouraging fans of the revolutionary hit musical to donate to the Immigrants: We Get the Job Done Coalition via Prizeo—and to post a video of themselves singing their favorite Hamilton song using the hashtag #Ham4All. The grand prize includes tickets to the opening night of Hamilton in Los Angeles. Personally, we feel getting to watch these amazing, silly and super creative takes on Miranda’s Tony-winning tunes is the best prize of all. Rise up, take on the challenge yourself and take a look at some of our favorite #Ham4All challenge vids below. Miss Saigon standout and Hamilton-bound star Rachelle Ann Go gave us a peek at her Angelica Schuyler pipes on “Satisfied.” As previously announced, she’ll be playing Eliza in the West End run in November. The hilarious Weird Al Yankovic offered a rendition of “What’d I Miss” on the accordion because of course he did. Hamilton alum Taran Killam posted a super funny performance of “Wait For It” that we’ve already watched 12 times. Hamil-gents Jevon McFerrin, James Monroe Iglehart and Nik Walker performed a version of “You’ll Be Back” that sounds like the velvety, R&B break-up anthem of our wildest dreams. The cast of Come From Away rose up to this challenge! TV-writing queen Shonda Rhimes has even got wind of the challenge. “Lin, this is very hard,” she said as she dropped some major Thomas Jefferson rhymes. Music superstar (and Hamilton Mixtape vocalist) Kelly Clarkson encouraged fans to donate as well. You can already guess her favorite song from the Tony-winning musical. Lin-Manuel Miranda also made a cameo in Jonathan Groff's video. We're obsessed with their bromance. We didn’t know we needed Josh Groban’s next role to be Eliza Hamilton, but there you go. The Tams from Miss Saigon performed “Aaron Burr, Sir,” and it’s the cutest thing to ever actually happen. Tony winner Cynthia Erivo gifted us with “Dear Theodosia,” so now we need 36 boxes of tissues. Lea Michele auditioned for Aaron Burr, and it was absolute magic. The Dear Evan Hansen cast accepted Come From Away's challenge, and the world will never be the same. We are crushing so hard on Joshua Henry. Sweet, sweet Jimmy, who works at Hamilton’s Richard Rodgers Theatre, is a true king. And how sweet is this bit of “Dear Theodosia” from Frozen favorite Kristen Bell? Tony nominee Will Chase and his daughters Daisy and Gracie also performed a gorgeous snippet of “Dear Theodosia.” We spy The Great Comet’s Ingrid Michaelson on the piano. We are saying "YES!" to Crazy Ex-Girlfriend mastermind Rachel Bloom's submission. We're watching Groundhog Day's "My Shot" rendition over and over and over again. And Oscar and Tony winners Justin Paul and Benj Pasek finished the month out strong with the grooviest rendition of "The Room Where It Happens" that there ever was.